If you own or operate a retail shop, you may already know the importance of stocktaking. In fact, stocktaking has numerous benefits for any type of business – whether a small, medium or large-scale establishment. The process may be carried out once a month, every year, or twice a year depending on the volume of goods handled by your organisation. There are many stocktaking techniques out there. You should choose the best stocktaking method to suit your retail business. 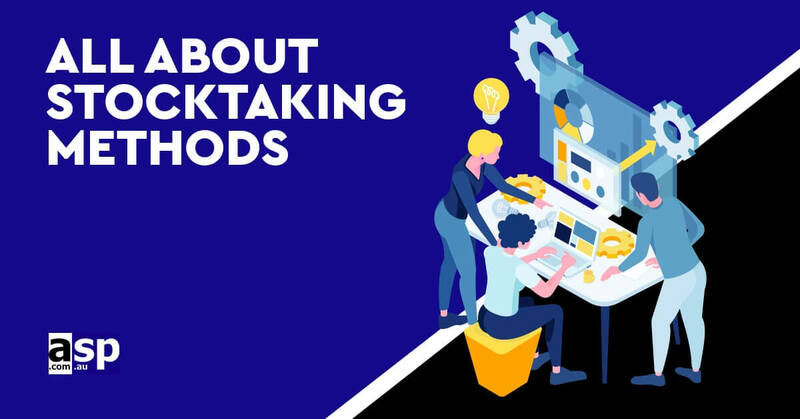 Here are some of the most popular stocktaking methods. This process is carried out every month, quarterly, bi-annually or annually depending on the volume of the goods your business handles. The entire stock in the warehouse is checked in one or two days. While inexpensive items will be checked every year, expensive and sensitive items would be checked 3-4 times a year. The physical balance that is taken at the end of each financial year will form the inventory. Here are some of the pros and cons of this method. This process is a simple and convenient stocktaking method for a small storage facility or warehouse. No extra staff is needed for the stocktaking process. You can allocate in-house staff to carry this out. It will give the correct figure of closing stock for balance sheet purposes. Hence, your balance sheet will be accurate with this method of stocktaking. The discrepancies will be noticed only at the end of the accounting period. There is no possibility of noticing any discrepancies beforehand. Hence, it might not be the best stocktaking method out there. The preparation of the balance sheet will be delayed if the process isn’t completed in a timely manner. This system conducts stocktaking throughout the year under a predetermined plan of action. The predetermined plan of action should be developed by the business depending on what type of goods they store. The business has the freedom to decide the frequency of stocktaking under such circumstances. Since the discovery of discrepancies is spread throughout the year, a detailed analysis of the condition of the stock is possible with this system. On the other hand, final accounts can be prepared and completed on schedule since continuous verification will be done as per plan. There is no need to freeze the entire operations of the business when stocktaking since the verification is being carried out throughout the year. The stock records of the warehouse are up to date at any time. Spot checks are carried out by the storekeeper of the warehouse or storage facility when receiving the stock or issuing store items. This method is voluntarily done by the storekeeper or his/her subordinate staff for their own satisfaction and for the accuracy of store items. This method doesn’t get much official recognition since it doesn’t give information to the management of the business. This method is usually practised by organisations that don’t have a continuous system of stock verification. This method is ideal for a business that doesn’t carry out periodical stocks by store staff or continuous stock verification by the accounting staff. The process is carried out in the last month of the financial year. In most cases, the business will be closed for a couple of days for stocktaking while some businesses may suspend receipts and issues until the stocktaking is over. Hence, this type of method is ideal for small and medium plants. ZapMYstock is a software program that facilitates the process of stocktaking. ASP Microcomputers is the manufacturer of this innovative program.